An 80-proof, 750 ml bottle will be priced at $29.99 and feature co-branded packaging, according to Beam. While the launch begins in the states, it will gradually roll out to international markets—given Timberlake’s global appeal and Beam’s expansive reach. 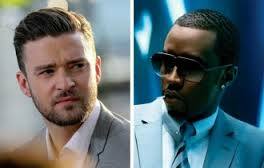 Timberlake’s deal comes fresh off the announcement yesterday that Sean ‘Diddy’ Combs—another star who has made a splash in the cocktail industry—is aiming to follow up the success of his seven-year-old Ciroc vodka range by expanding into the tequila category, too.